“Designs” indeed: nothing less ambitious than the downfall of the West and the establishment of a medieval dystopia known as the worldwide caliphate. Is it a mere scare tactic to point out that internal Brotherhood documents themselves reveal that the “elimination of Western civilization” is a goal? Or that the Brothers’ motto is “Allah is our objective. 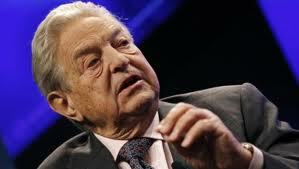 The Prophet is our leader. Qur'an is our law. Jihad is our way. Dying in the way of Allah is our highest hope”? The eyes of the world have been on Egypt this year as the 30-year stability of the Mubarak regime collapsed in the wake of popular protests that have since echoed throughout the Arab world (and been mischaracterized in the now-ubiquitous phrase, “Arab Spring”). Speculation and analysis abound about the future of our relations with Egypt, the ascendance there of the Muslim Brotherhood, and the threat of impending war with Israel. There is no shortage of pundits on the outside looking in, but for a perspective from the eye of the storm, so to speak, I reached out to interview my courageous friend Cynthia Farahat in Cairo. Cynthia is a young political activist, dissident, and Coptic Christian – a combination that paints a bright red target on one’s back in Egypt. Her recent article in the Middle East Quarterly and an interview with Bill Whittle of PJTV have begun to earn her recognition as a political analyst. Mark Tapson: Let’s begin by talking about your politics and your work. Cynthia Farahat: My political philosophy is somewhere between American Conservatism and Objectivism, and I am very fond of and inspired by the American Tea Party movement. I have learned so much from the Tea Parties all the way out here in Cairo. My political activism began after 9/11, for two reasons: first, I was heartbroken by the shocking evil and cowardice of the attacks on the unsuspecting, peaceful people in the Twin Towers. Second, I was compelled by the fact that those people were paying tax dollars to fund the so-called "moderate" Mubarak dictatorship, whose state-sponsored media celebrated 9/11 and the death of American "infidels." The virtue of empathy is severely lacking in Arab regimes. We don't even have a word for "empathy" in Arabic. I saw that I would be compliant with their crimes if I stayed silent. My main goal is to collaborate with strong secular civil groups against theocratic forces, because I have seen their ideas fly into your buildings. So I met with like-minded people and co-founded the Egyptian Liberal Party, the first political party in Egypt that openly calls for secularism and capitalism. Our party was banned by a court order at the same time that the Mubarak regime opened up the parliament for the Muslim Brotherhood. I always believed the Brotherhood was part of the Mubarak regime, and that he couldn't have functioned without it. 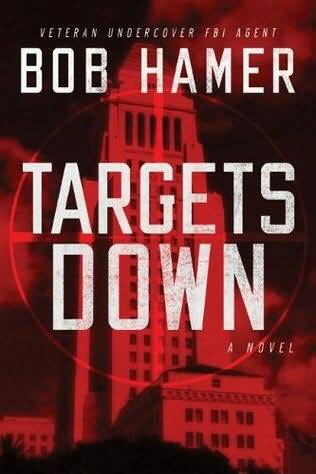 Bob Hamer Hits the Bullseye with "Targets Down"
“Write what you know” is the first and most basic advice every aspiring creative writer tries to take to heart. Like all writing advice, this is easier said than done, and few novelists make that formula work more successfully and naturally than Bob Hamer, author of last year’s Enemies Among Us and the new Targets Down. Undercover FBI agent Matt Hogan, the fictional protagonist of both thrillers, bears a striking resemblance to his creator, who spent 26 years as a street agent for the FBI, usually undercover. Hamer, also a Marine Corps vet, relates that remarkable quarter-century backstory in his engrossing, sometimes shocking first book, The Last Undercover: The True Story of an FBI Agent's Dangerous Dance with Evil. In his capacity as an undercover agent, he walked convincingly in the flames with drug dealers, pedophiles, gangs, international arms dealers, and killers. 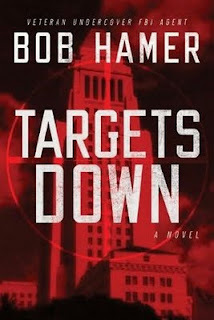 Hamer brings this gritty experience to bear on every page of his novels, lending them a degree of detailed authenticity that’s unusual in the thriller genre. No less a thriller authority than Vince Flynn confirms this, having said of Hamer that he "delivers realism only an undercover FBI agent can bring." I'll be a guest again on the always-entertaining-and-enlightening Clash Radio today, Friday, at 8:20 a.m. EST, discussing American exceptionalism and Hollywood's Primetime Propaganda . 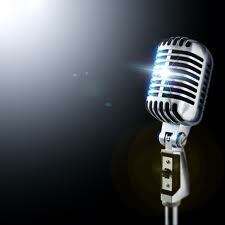 Check it out if you can, and if not, click on the first link above to go back to the site later for the archived show.